Sheryl Sandberg is the driving force behind the Lean In movement. Nearly a year after her book’s release, it’s being turned into a film. Sony Pictures is putting on its thinking cap. It’s acquired the movie rights to the nonfiction book Lean In: Women, Work, and the Will to Lead by Facebook COO Sheryl Sandberg. It debuted on bookshelves in March 2013. 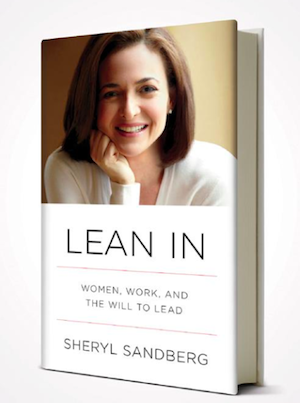 Lean In isn’t a memoir based on Sandberg’s life. Instead, it focuses on a few key issues facing working women today, the most prevalent being the gender inequality gap. The film will feature a narrative that incorporates the main themes of the book. The screenplay will be written by Nell Scovell, who’s mostly known for her work in television. Her résumé includes episodes of Warehouse 13, Charmed and Sabrina, the Teenage Witch. This will definitely be a bit of a departure for Scovell. When Lean In was initially released, it sold 140,000 copies during the first week. It landed the top spot on Amazon’s best-seller list and was Amazon’s second-best selling title of 2013. It also held the No. 1 spot on the New York Times nonfiction best-seller list. The book obviously resonated with a lot of women. It sparked a movement that pushed them to go above and beyond their perceived limitations. We’re interested to see whether Sony can turn this worthwhile read into a worthwhile watch. Have you read Lean In? If so, should it be turned into a film?